This page is dedicated to reporting on recent newsworthy events, upcoming projects and new products. 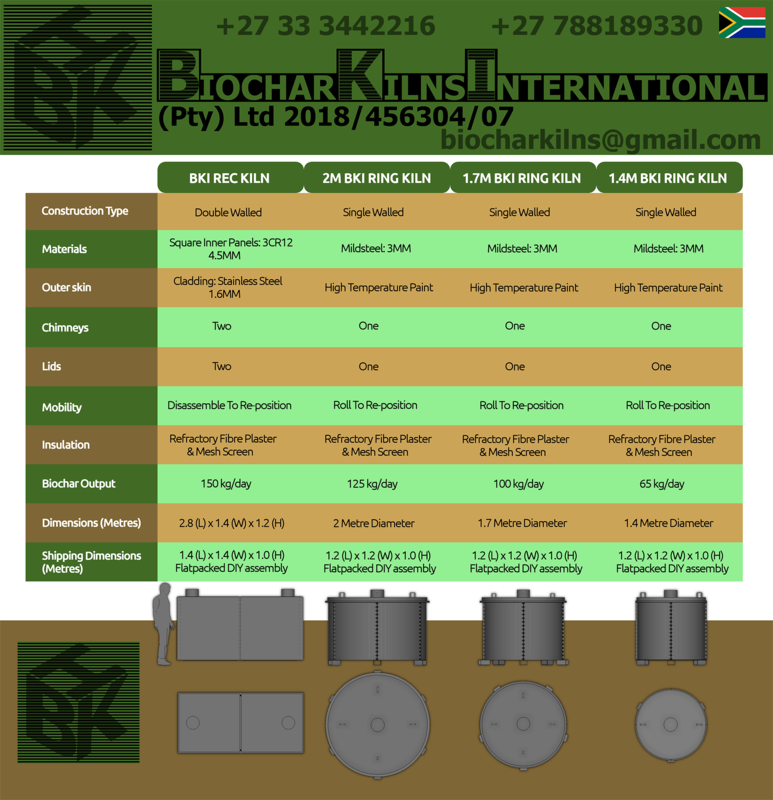 Update: 1 January 2019: Biochar Kilns International (BKI) is currently involved in a project to turn faecal sludge into a Biochar soil amendment product. Project updates to follow throughout 2019. 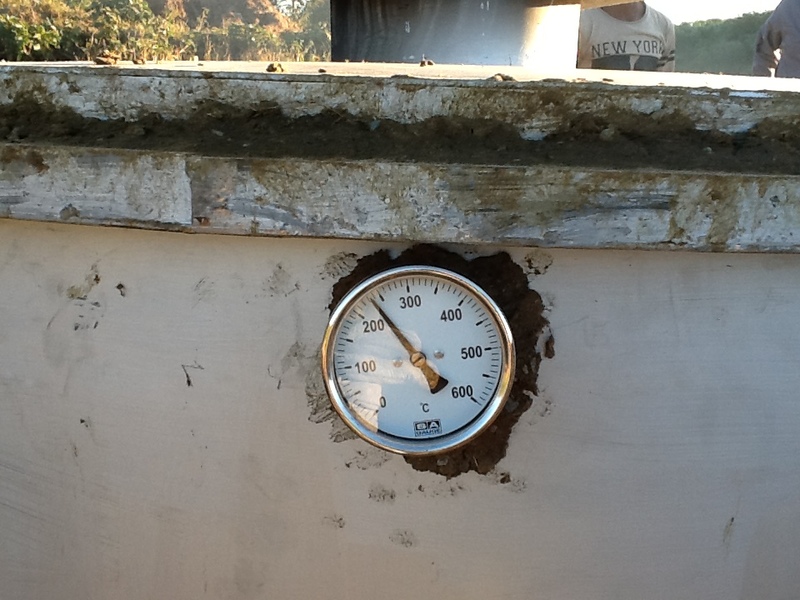 The DRYING OVEN is designed to dry very wet feedstock with incredible fuel efficiency with the use of 3 x Rocket Stoves. Any of our 3-; 4-; and 5-drum RING KILNS or 6-drum REC KILN can be converted into a dryer. Drums are lowered down with simple overhead tripod and fall-block system into RING kilns whilst drums can be loaded and unloaded via a side-door on the REC model. Please support our Crowdfunding project in South Africa. In a nutshell, the project aims to uplift rural youth and women by creating jobs and skills whilst at the same time clearing Invasive Alien Plant Species (IAPs) and reducing global warming. Create Employment – Up to 30 workers will be employed in year one. Unemployment is rife (>50%) in the rural areas of KwaZulu-Natal especially with a minimum wage now being introduced for farm workers. The feedstock for the Biochar project will be secured by ‘Vuthisa Charcoal Projects’ through a contract signed with the Department of Environmental Affairs, Natural Resource Management Programme, that pays the wages of our workers. Eradicate Invasive Alien Plant Species and restore the Natural Biodiversity of the land – We intend to clear over 300 hectares of Wattle in this area and restore the land back to virgin grassland. The main culprit being Acacia mearnsii (Black Wattle) and Acacia decurrens (Green Wattle). Unmanaged Wattles in KwaZulu-Natal has now reached more than 300,000 hectares in extent, according to the Agricultural Research Council (ARC) report commissioned by Water Affairs, 2010. Left untouched, this alien vegetation would spread at an average rate of one percent a year, threatening water and food security. Concerted efforts are being made to prevent the further spread of these invasives especially in water catchment areas, but it is estimated that R 34 Billion ($ 3.4 Billion) will have to be made available over the next 25 years to stop this spread. Increase Water Runoff in water catchment areas and reduce erosion – The Wattle trees spreads vigorously through the seed it puts out and these typically germinate in river systems, sucking up water and causing stream flow reductions. 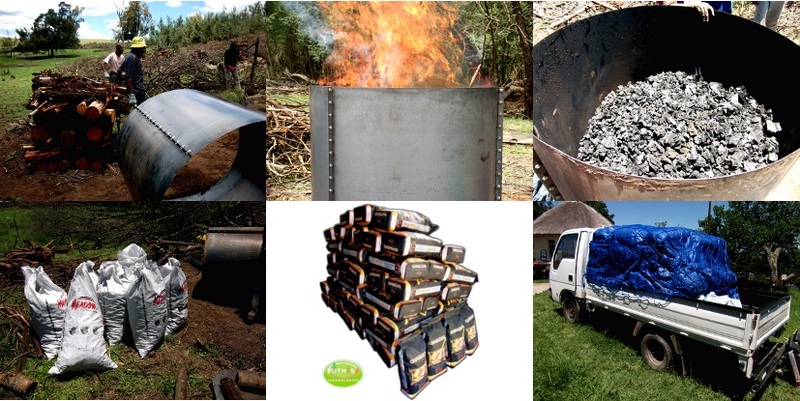 Develop Emission Reducing Biochar Kilns and Biochar products and reduce greenhouse gas emissions – Acacia mearnsii is a hardwood species and makes excellent charcoal. 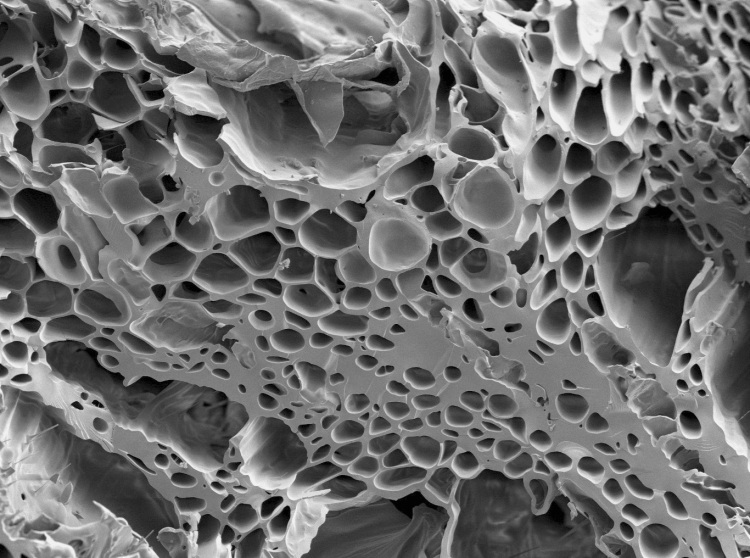 Conventional pyrolysing tecnologies in South Africa however are less than 20% efficient. 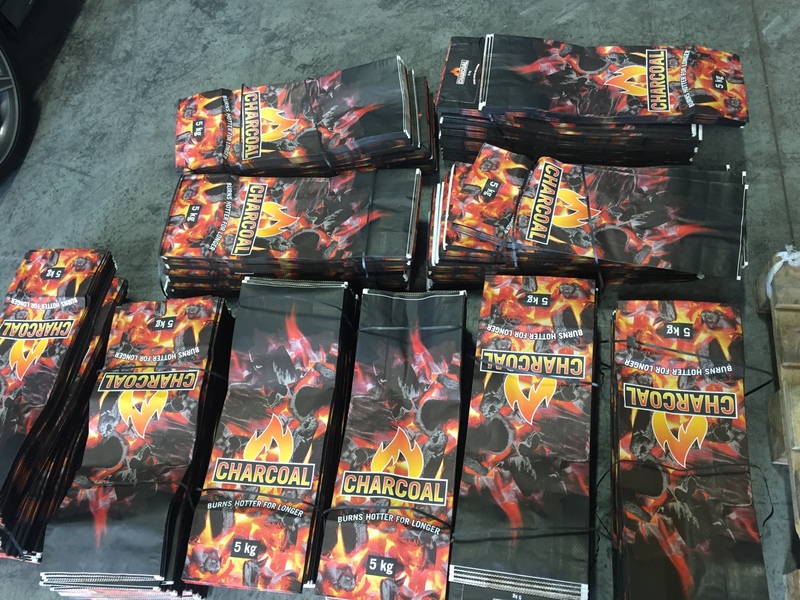 Our first goal is to achieve a minimum of 25% wood to biochar conversion efficiency. 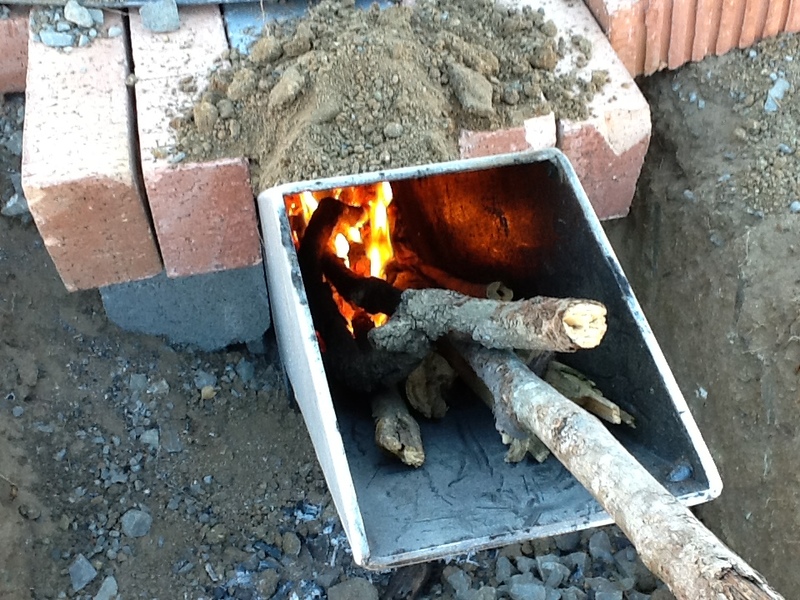 Using more efficient methods to produce charcoal (or Biochar) has the potential to save about 100 MtCO2 per year in Sub-Saharan Africa (See http://bit.ly/I0KIXl). CO2 production from Emission Reducing kilns has not been quantified, but a 5 to 10% reduction in GHG’s is expected. We plan to produce 150 tons of Biochar in the next two years and we expect that 20% of this will be bought indirectly by fertiliser companies which could result in at least 30 tons of carbon being sequestered back into the soil. All persons interested in above employment opportunities OR Forestry companies with excess staff please phone us on 087 805 7636 or send an email to kobus@vuthisa-techblog.com or fax to 086 614 4069. We are happy to announce that our project has been selected for the highly acclaimed First National Bank ‘Ideas can Help’ campaign. The focus of this project is on the subsistence farmer and how they can improve their crops and soil, break the chemical fertilizer loop and produce a high value product merely by using his crop residuals. The goal is to move them up to being sustainable farmers. If you feel this is a project worth supporting please vote for our concept proposal. I think there are a lot of claims being made about the benefits of biochar to the soil, but only once this can be substantiated with plant trials can we make any kind of claims. If we get the support we hope to get we could end up in the top 3 and qualify for assistance to take the idea further. Please vote to keep us in the running. To be able to vote you have to register or if you have a Facebook, Twitter or LinkedIn account you can login straight away and cast your vote. After logging in you will receive ‘smiles’ and then clicking on VermiChar and sharing it will earn you more smiles. Use these smiles to cast even more votes for our idea. Kindly log in weekly to earn more smiles. Sharing our idea will earn you 3 smiles every time you share. We have estimated that if everyone logs in and share our idea only once per week that we could get an additional 45 smiles from everyone until voting stops on 15 October. At this rate we need at least 800 people to vote weekly for us to win the competition. Vote here: http://www.blog.fnb.co.za/ideas-can-help/view-idea/?id=3231&d=7011807846665 and share on Social Media. Update: 5 March 2012: Vuthisa becomes partner number 568 in the Partnership for Clean Indoor Air (PCIA). 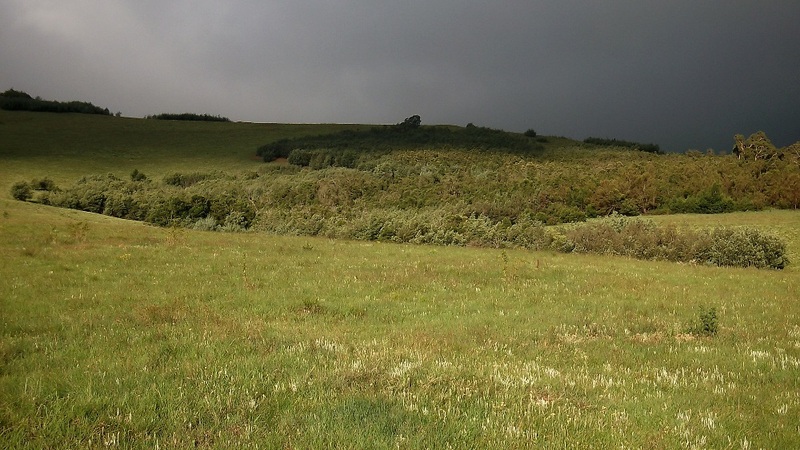 Vuthisa have secured a contract with a private farm owner in the Kokstad area (Kwazulu-Natal, South Africa) to remove all the invasive alien species (and poison the stumps to prevent recurrence) on their farm and rehabilitate the area back to grassland. The felling program commenced in October and we have begun to make charcoal from the now dry timber. There are approximately 800 tons of jungle timber that needs to be converted to charcoal and firewood. Only about 50 tons of timber is suitable for the paper pulp market, but because of the steepness of the terrain, short-haul transport options are severely limited. 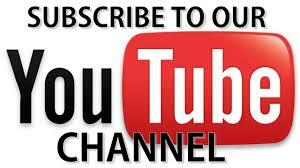 Visit the Contact Us page to get more information. We are pleased to announce that The Elizabeth Glaser Pediatric Aids Foundation decided to donate 40 of our StoveTec stoves to the Thandanani Childrens Foundation. The Elizabeth Glaser Pediatrics Aids Foundation has been supporting HIV and AIDS prevention, care and treatment services in South Africa since 2000. Founded in 1989, Thandanani Children’s Foundation is a registered non-profit organisation that facilitates community based care and support for orphans and other vulnerable children in the KwaZulu-Natal Midlands (South Africa). A wonderful gesture to a worthy cause! We have re-launched our website with our new logo, in which we highlight Emerging Energy / Green Technology products that don’t typically find their way to your local retail outlet. 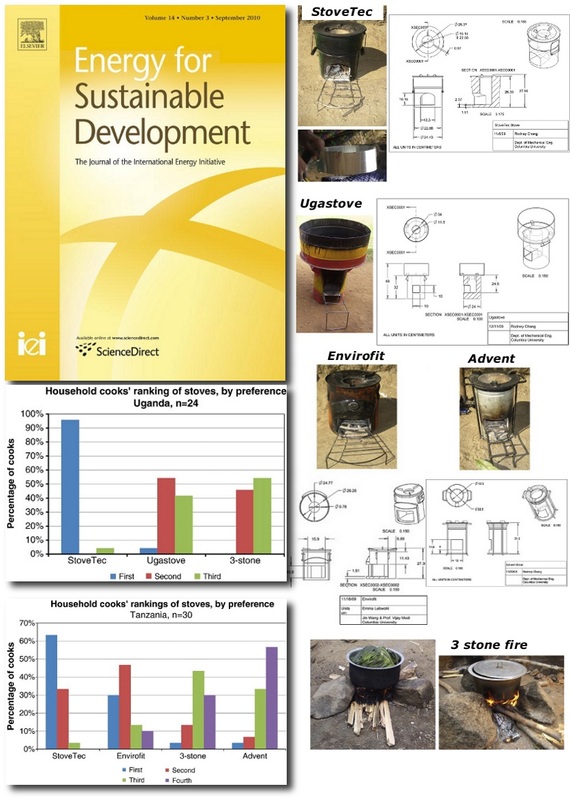 The products are quite diverse yet all find relevance in an off-grid environment and include cooking stoves, solar cookers, a novel water roller, hand operated fuel briquette presses, charcoal making kilns and books for development workers. We also offer our own in-house range of services, namely Farm or Plantation Mapping, Geo-modeling and 3D modeling. 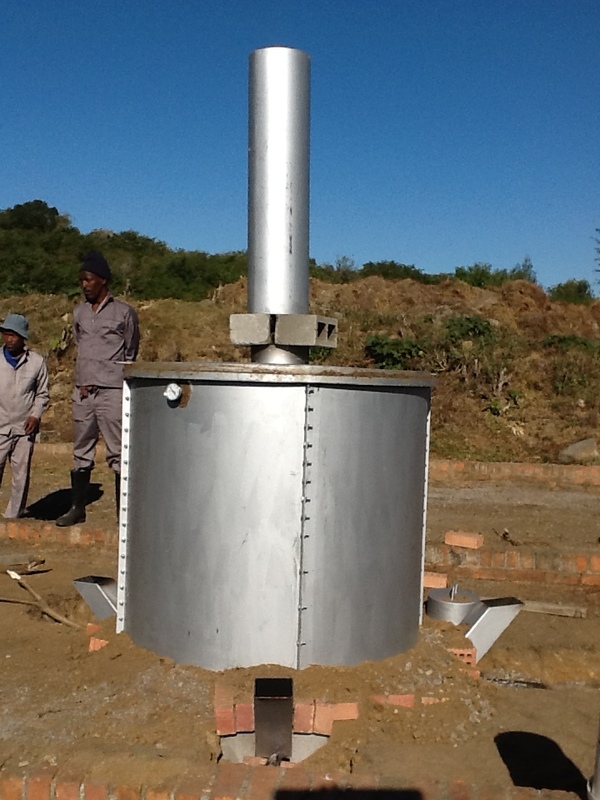 Vuthisa has successfully installed 90 StoveTec wood-burning stove in a village near Ixopo, KwaZulu-Natal. The farm owner is looking forward to seeing a reduction in his firewood collection and handling costs because the StoveTec stove uses 50% less fuel than other stoves on the market. The recipients of the new stoves are all extremely pleased with their new stoves and at our recent visit to them we had absolutely no negative comments or complaints about the StoveTec. Their homes are less smoky now, they use less wood and they are able to cook their food faster. A win-win situation for everybody involved. 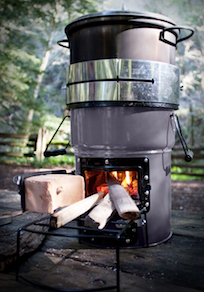 The usually loose standing stoves are cemented into custom-made docking stations to serve as 2-pot or 3-pot stoves. 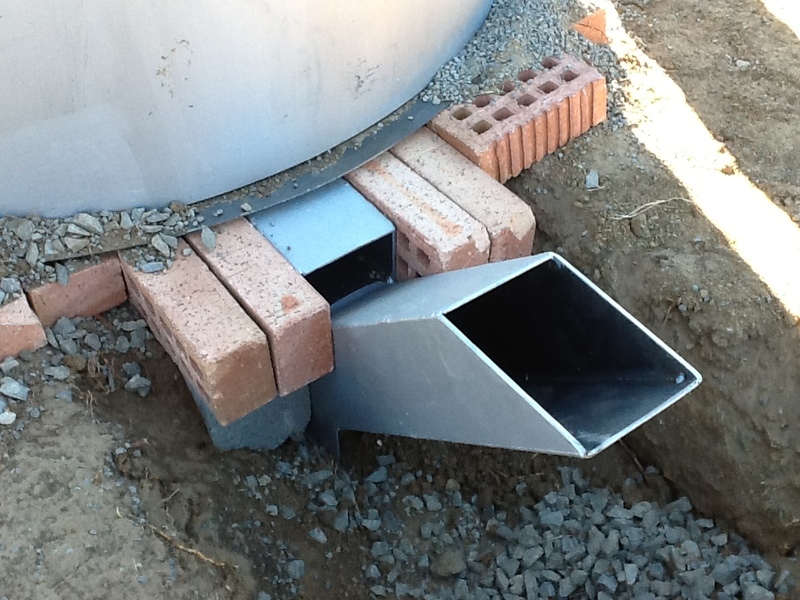 Above each station is a hood that collects the emissions and channels it towards the chimney. The stoves are operated with just a few sticks of wood and will only occasionally give off smoke, such as when started up or when adding new wood. This particular village is connected to the electricity grid but the management company had no option but to leave it offline and revert to using wood in light of the annual electricity hikes imposed by Eskom. Go to the installations page for the full article. Vuthisa has partnered up with Thandanani Children’s Foundation in supplying low-cost cooking stoves to poor households in the Pietermaritzburg and Richmond areas of KwaZulu-Natal. Thandanani has a network of volunteers that provide care and support for families with orphans and vulnerable children, households identified as being in dire need of emergency assistance, facilitating access to fee remissions, social grants and other forms of government support, facilitating the establishment of volunteer driven income-generating projects, to name but just a few of the services they offer. The volunteers, as their name imply, volunteer their own time and travel expense to visit above families in question for very little remuneration. We wanted to know whether or not the volunteers would be interested in signing up as sales agents as an incentive to get word out about the remarkable StoveTec wood stove, so we arranged cooking demonstrations. The feedback we received was very encouraging and many are interested in taking delivery of demonstration stoves in order to give demonstrations in their own respective areas. Further training has been scheduled. To find out how you can help or get involved with this initiative or Thandanani Children’s Foundation’s worthy cause, please contact Nhlanhla on nhlanhla@thandanani.org.za. We are available to do demonstrations in your area, be it for income-generation or to show people under your employ how the stove works. Contact us at ventfory@iafrica.com or visit the Contact Us page to get more contact information. 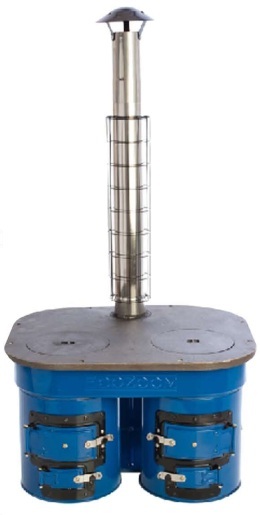 We have become stockists of Aprovecho’s StoveTec rocket stove! Visit our StoveTec information and order page for more information on the stove and to find out how you can own one. EcoZoom is now the exclusive distributor for developing countries for the Aprovecho Research Center and StoveTec. The former sales and distribution arm of StoveTec, established the EcoZoom brand to rapidly increase the distribution of improved cookstoves. Three billion people in the world need a safer, healthier, cheaper way to cook; EcoZoom is part of the movement to make that happen. EcoZoomc Stoves burn cleaner, use less fuel, and are more economical than any other stove of their kind.